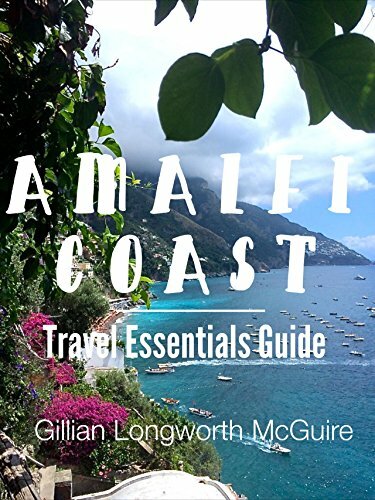 Many people traveling to Campania and the Amalfi Coast think of staying in one of the popular touristic towns, such as Amalfi, Positano or Sorrento. 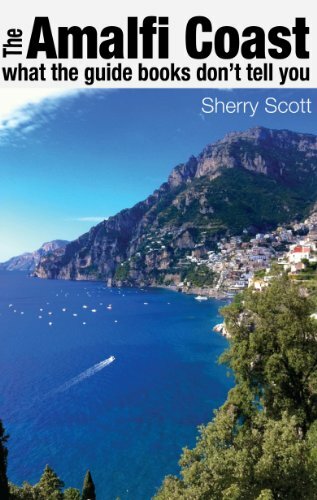 But I would suggest another alternative, one that is often overlooked in travel guides and tour books: Salerno. Salerno is a wonderful city located along the water, and is in fact the capital of the province which shares its name. It is a city rich with history of both ancient and more modern times, as you can learn about in its museums and landmarks. The city center is small enough to be easily walkable yet also offers many amenities including great restaurants, wonderful shops, and comfortable, affordable lodgings. 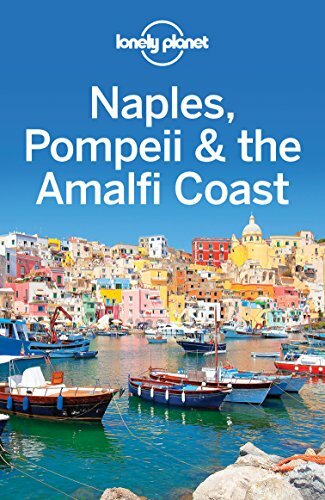 It also offers easy rail connections to Naples, Rome and other northern cities, as well as being close to other attractions in the region such as Pompeii and Paestum. Here you can learn more about the sights and attractions in Salerno and why you should consider this city on your trip to Campania and Southern Italy. 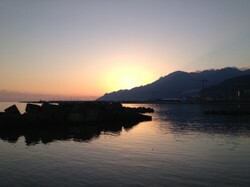 Image above: Sunset over the Gulf of Salerno. All photos on this page are by the author, sockii. Salerno is located in the Campania region of Italy, on the Gulf of Salerno on the Tyrrhenian Sea. The city has long had a history as a center of learning, culture and arts, going all the way back to the 9th century. At that time the Schola Medica Salernitana was founded: the very first medical school in the entire world! The city's importance flourished through the 16th century under the Sanseverino family, until a series of catastrophic earthquakes and outbreaks at the end of the 1600s brought an end to the city's dominance. It would fall under Spanish control until the 18th century and then Napoleonic rule. During World War II, Salerno was important during Operation Avalanche, the invasion of Italy, and several Allied landings took place nearby. Today the charming historic, medieval sector is home to many shops, restaurants, and cultural attractions making it an excellent destination for travelers wishing to explore the region. The Mediterranean climate of Salerno is pleasant and mild with the winds from the mountains making it one of the "sunniest towns in Italy". The public gardens of the Villa comunale di Salerno. The most important religious building in the city is the Duomo di Salerno. Dedicated to Saint Matthew, the remains of the Christian Evangelist can be found in the church's beautiful crypt. Inside the church you will also find colorful, large mosaics and the exterior features bronze doors from Constantinople. The Museum of Landing and Salerno Capitale (Museo dello Sbarco e Salerno Capitale). This relatively new museum presents a fascinating collection of material related to the 1943-1944 Allied Invasion of Italy, particularly on the landings near Salerno and the impact of World War II on the city. Visitors can watch a short video introduction to the Allied operations in Italy and then look at old news clippings, photographs, military uniforms and equipment, and also learn more about the lasting impact the invasion had upon the city. It is certainly worth a visit for those with an interest in military history. Museo Diocesano San Matteo di Salerno: this diocese museum is located in a former seminary. Highlights include medieval tablets carved of ivory, religious artwork of various time periods from the region, and documents from the original medical school of Salerno. Pinacoteca Provinciale di Salerno: this small, also free art gallery focuses on artwork of the region, including Baroque followers of Neapolitan tradition through to more modern times. The Virtual Museum of the Medical School of Salerno: Learn more about the founding of the world's first medical school in this interactive audio/visual exhibit. Although the school itself no longer exists, this exhibit is now housed in the restored San Gregorio church. Museo Roberto Papi: This museum is dedicated to medical history as well, particularly historic dental and medical instruments from the 17th through 20th century. There are re-created medical offices, exhibits of wartime medical tools, and descriptions of common medical practices of the times. The public gardens or Villa comunale di Salerno is a pretty park with tropical plants, large trees, and a pleasant place to rest your feet and relax after a busy day. The seaside promenade is perfect for taking a leisurely stroll, particularly in time to view the sunset. It is popular with the local population where you'll find many out during the evening passeggiata. Il Giardino della Minerva - this historic garden and orchard features medicinal plants (once used by the students and physicians at the ancient medical school) and architectural elements reminiscent of the 18th century. The multi-levelled garden also offers lovely views of the city and the gulf. Castello di Arechi - the ruins of this medieval castle are perched high above Salerno, offering lovely views of the city and water below. Inside is a permanent exhibit of ceramics, arms and coins, and in the summer months concerts are held at the castle. The Medieval Aqueduct - curiously you will find this ancient ruin in the upper part of the old town, right at the center of a busy intersection! Love to shop? Salerno is filled with wonderful artisan boutiques and trendy modern shops. You can buy hand-painted ceramics, beautiful beaded and precious-stone jewelry, antiques and modern housewares, specialty food and wine products, and everything else you might be searching for. The Luci d'Artisa: If you are lucky to visit Salerno during the Christmas season, you can enjoy the city's colorful lights displays all around town. During the Christmas season Salerno lights up after dark with the "Luci d'Artista" celebration. The exterior of the Duomo of Salerno. Salerno played a critical role in the Allied Invasion of Italy in 1943. This book covers the bloody history of a 10-day campaign where victory hung in a very delicate balance. You can also enjoy delicious vegetable dishes such as stuffed artichokes. Beautiful Positano: An easy day trip from Salerno. From Salerno it is very easy to enjoy many other attractions and destinations in the Amalfi Coast region of Italy. A short trip south, no more than an hour's time by car, and you can visit the magnificent Greek and Roman ruins of Paestum. Along the way in that direction you will also pass many farms dedicated to the production of buffalo mozzarella, some offering tours and tastings to visitors. 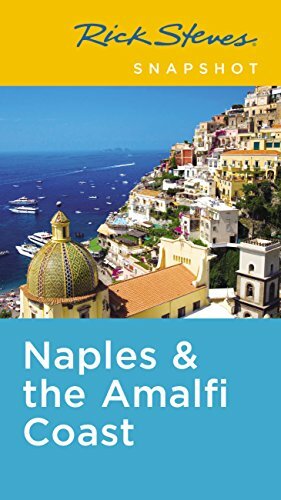 Otherwise you can head northward and explore the incredible Amalfi Coast and its unique towns including Ravello, Amalfi, Positano and more. These are all easily reachable by bus or car; you can rent an automobile if you are up for the winding drive or perhaps hire a guide for the day. In season there are also ferry boat services from Salerno to Amalfi and the other coastal towns. 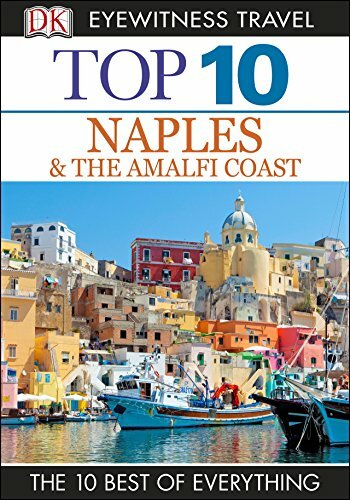 A short train ride (less than an hour) will take you to the bustling heart of Naples, a city rich with cultural attractions, museums and magnificent churches. It is also not far to the archeological sites of Pompeii and Herculaneum. Indeed, the entire region is rich with wonderful destinations, and the difficult thing may be finding the time to see them all! 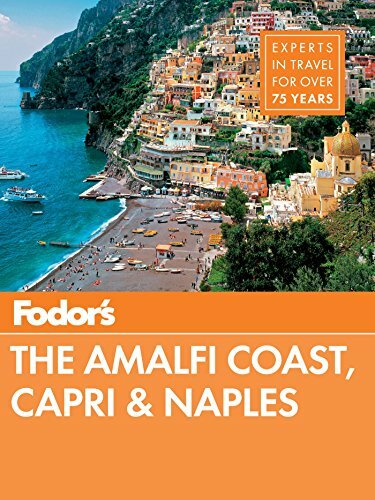 The Amalfi Coast of Italy is blessed with incredible natural beauty and charming, historic towns — perhaps none so historically important as the town of Amalfi itself. If you are fascinated by Roman history, this ancient city–destroyed and buried for centuries after the 79 AD eruption of Mount Vesuvius–is definitely a must-see destination. A drive from Salerno to Positano offers stunning views of the Amalfi coast. Salerno Tourism at TripAdvisor: Read honest reviews of restaurants, attractions, and lodgings in the Salerno area on TripAdvisor, a great forum and resource of information. Salerno Italy Tourist Information: Good guide (in English) to the top sites and attractions in Salerno, as well as travel details. Salerno travel guide - Wikitravel: Details on getting to Salerno by various methods of transportation and top picks for attractions in the city. B&B Salerno Centro: A bed and breakfast in the heart of the historic center of the city. I highly recommend this B&B based on my own experiences staying here. It is very comfortable and affordable, and the owners of the property will go out of their way to help you enjoy and experience the region to the fullest. Have you ever been to Salerno? ...or would you consider it for a vacation some day? Feel free to leave a comment below! Salerno is the kind of Italian city and region that I would like to visit, Nicole. Less frequented and perhaps like the larger cities used to be. Apart from visiting the churches, museums and galleries, I would enjoy strolling through the various gardens and along the seaside promenade, all good places to see and perhaps meet ordinary Italians enjoying their leisure hours.